Testicle Festival is returning to the Arlington. Be afraid. We also have images of the food, but... we'll just stick with using this nice music photo. Adventurous types should have a, um, ball at an upcoming foodie event as they down the delicacy of Rocky Mountain oysters. Also known as bull testicles. The 8th annual Testicle Festival is returning to the Arlington American Legion (3445 N. Washington Blvd., Arlington) on Saturday, May 19 from 6 to 10 p.m. 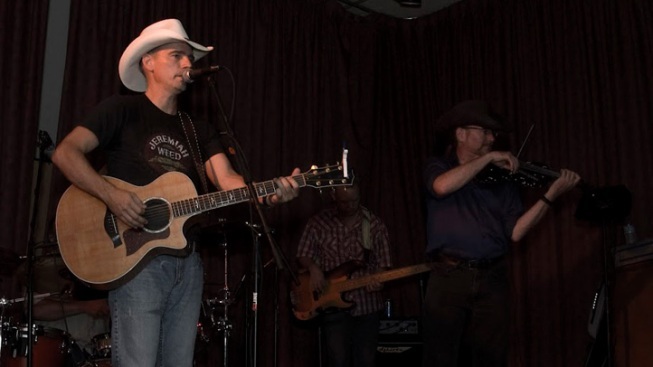 The fest also features live country music from the Wil Gravatt Band (hey, this event is run by the Montana State Society) and all-you-can-drink beer and Crown Royal to help you forget what you just ate. You can buy tix online for $25 or at the door for $30. The event is 21+ -- don't wanna mentally scar the young, after all. The first 200 people to arrive will also get a commemorative T-shirt. Pro tip: Don't wear it to work.